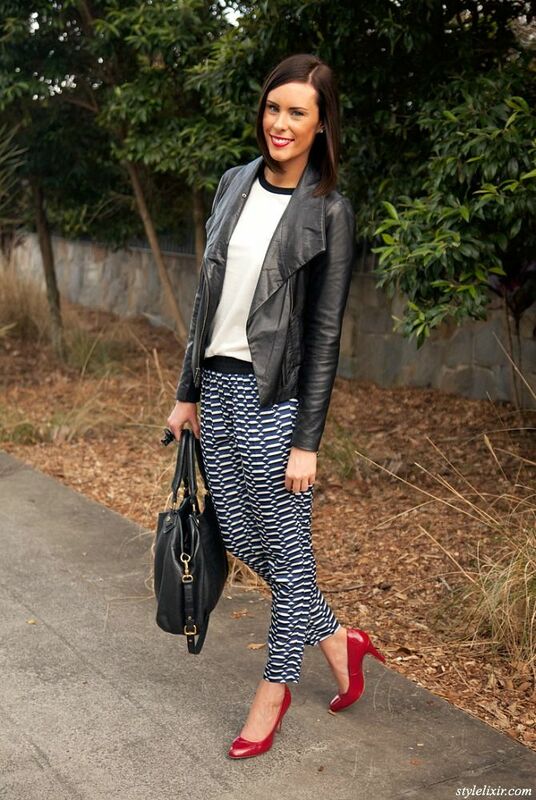 You are going to LOVE today's post from Lauren with Style Elixir. She is showing us three fall trends that we all need to get out hands on. I have been reading Lauren's blog since she started and it has been a pleasure to watch all her successes and growth. She is one of the sweetest and most dedicated bloggers I have come across. I am thrilled that she is here today! Hello gorgeous readers of Because Shanna Said So! I'm Lauren, the creator and editor of Style Elixir, which is a fashion, beauty, fitness and lifestyle blog. I am thrilled to be here today while our oh-so-fabulous Shanna is living it up in Mexico! The sneak peek at her resort looked amazing, I can't wait to hear all about Shanna's vacation. Plus, I'd also love to invite you to be a part of Style Sessions, it's a weekly fashion link up I host every Tuesday. You can share anything fashion related, so it could be an outfit you've been wearing or photos of a look you'd love to wear. It's a perfect way to gain inspiration, as well as showcase your style - and your blog! Join us by linking up below, this week I'm wearing polka dots and metallic gold. This is one wardrobe staple I am completely addicted to. I have a real thing for blazers, because I adore how you can easily throw one on and take your look from casual, to perfectly polished in a second. They are beyond versatile and work with almost anything - I wear mine with everything including jeans, shorts and dresses! I am such a girly girl, so when all this military style was coming into fashion, I wasn't sure how I could wear it. But I think the key to fabulous style isn't following a trend explicitly, it's about learning what works for you and putting your own stamp on it! I glammed up a chic army green blouse with my favorite leopard print belt (on sale!) and a statement necklace. Of course, a requisite pop of red lipstick (color #13 Le Orange) completes the outfit! I think we all have those extra special pieces in our wardrobe. For me, it's this leather jacket! I bought it last winter and couldn't wait to bring it out again this year. The leather is buttery soft and I've never had a jacket this warm. After my experience, I became somewhat obsessed with leather jackets and bought a second one! I believe they are so timeless and although not cheap, a quality piece with a simple, classic cut is worth investing in. Tell me... Would you wear one of these looks? What is your favorite trend for fall? It's been so great to be here today, thank you Shanna! If you're looking for a daily dose of sparkle and inspiration, head over and say hello to me at Style Elixir! I adore chatting to my readers over email, Twitter or Instagram and would love to meet you! Lauren is also giving away a $100 gift card to J.Crew, Target or PayPal. It's winner's choice. Pretty fabulous, right? Be sure to enter and go visit Lauren. I love the military chic, so fun! Great photos! Great post! She look gorgeous in all 3 trends, and now I want a new leather jacket! I need to get on board with the whole leather trend!! Lauren is defintiely someone to take style advice from! She always looks so chic and put together. she is so great!!! thanks for the giveaway! Love you statement necklace! Where's it from? Enjoy yourself on your vacation, Shanna. <3 Ada. I need to get a statement blazer stat! Great ideas! 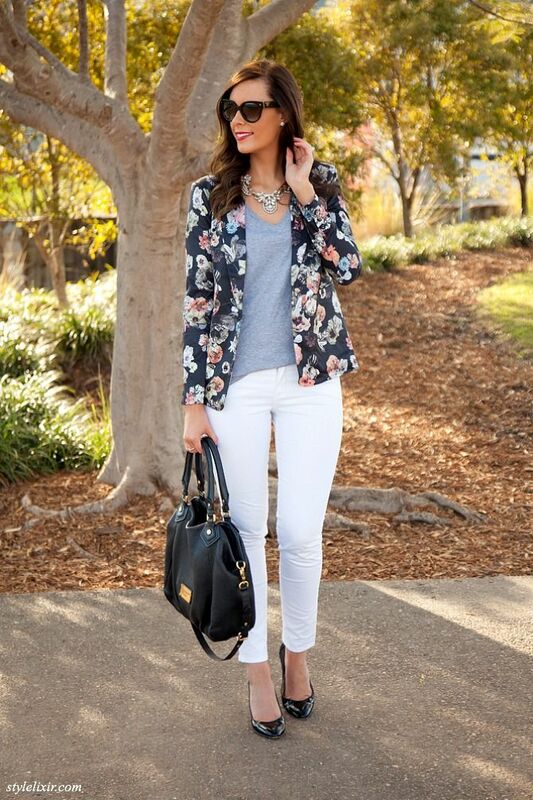 That statement blazer is so pretty!